A soldier who knew late Corporal First Class (National Service) [CFC (NS)] Pang Wei Chong, Aloysius, but was not always on good terms with him, has shared a heartfelt tribute in the wake of Pang’s untimely demise. CFC (NS) Pang, an armament technician, had been undergoing their reservist training in New Zealand and had been carrying out repair works inside a self-propelled howitzer with his team last Saturday when the gun barrel was lowered, crushing him. 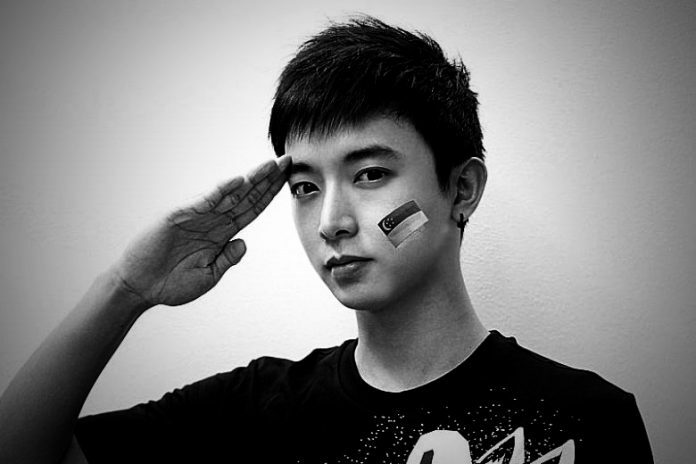 Despite the best efforts of medical professionals, Pang succumbed to his injuries and passed away. 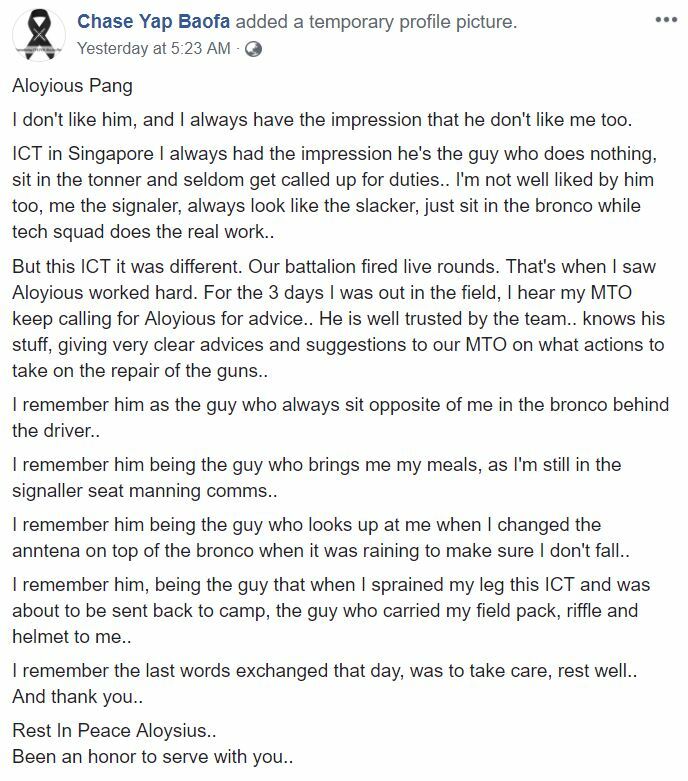 Facebook user Chase Yap Baofa who served ICT training with CFC (NS) Pang wrote on social media that he and CFC (NS) Pang shared a mutual dislike of one another: “Aloyious Pang. I don’t like him, and I always have the impression that he don’t like me too. “But this ICT it was different. Our battalion fired live rounds. That’s when I saw Aloyious worked hard. For the 3 days I was out in the field, I hear my MTO keep calling for Aloyious for advice. He is well trusted by the team, knows his stuff, giving very clear advices and suggestions to our MTO on what actions to take on the repair of the guns. “I remember him as the guy who always sit opposite of me in the bronco behind the driver. I remember him being the guy who brings me my meals, as I’m still in the signaller seat manning comms. I remember him being the guy who looks up at me when I changed the anntena on top of the bronco when it was raining to make sure I don’t fall.